Digital transformation is the megatrend driving billions in investment across the corporate world to reinvent the way they do business. CIOPages.com’s definitive guide to digital transformation is a comprehensive and in-depth insight for executives and entrepreneurs on how to think, plan, implement, and run things to be successful in the digital age. In the enterprise digital transformation guide, we will address the following topics to help you master the art and science of digitalization. Digital transformation is a customer-centric reimagination of the future of an enterprise and subsequently rethinking the business model. Reshaping the product/service portfolio, restructuring the processes, re-platforming technologies, reskilling the workforce, and instilling a new culture to get to the end goal. Digital transformation is a business transformation first – encompassing operating model, people, culture, and process. Digital transformation is a foundational and an invasive endeavor, and it is not just putting some lipstick on a pig. Real digital transformation involves answering strategic questions such as, “What will my business look like at the end of this journey,” “What is our value-add and justification for existence,” “What do we make, sell, and how to make money.” These are existential questions and not always black and white. For example, what a company makes/creates and how it makes its money may be very different in the digital age. Digital transformation is more than technology transformation. Technology is just an enabler. Customer-centric culture, strong leadership, and ability to initiate and manage change are critical success factors to digitalization. Of course, not every company needs to do all the things and that too all of them at once. Boiling the ocean may be one of the challenges companies face when they proclaim to the analysts and media about a billion-dollar digital transformation. Of course, ultimate it may require a massive investment, but planning, prioritization, sequencing, and phasing are as essential to get quick wins, and then accelerate momentum. On the other hand, companies that think piecemeal focusing on the surface issues will fail irrespective of how much of a patchwork of solutions they implement. For example, if a company deems poor customer satisfaction as either a fancy portal problem, or an employee training problem, or something else, it is missing the forest for the trees. The launch and subsequent phenomenal growth of iPhone and other smartphones may be one of the pivotal moments in history. Companies like Apple, Zappos, Spotify, Airbnb, Amazon, et al. have made the customer experience the cornerstone of their success and jaw-dropping growth. Today, customers no longer compare the experience of peer groups – banks, retail stores, and home services and the like. Instead, the benchmark of ease and experience are set by the tech giants and emerging startups upending the status quo in every sector. The digital disruptors include a few household names from the Web 1.0 and 2.0 era and are now giants in the digital age. Apple, Amazon, Netflix, Facebook, Google exemplify the digital disruptors turned giants that are spreading their reach into various corners of the industry sectors. And add to the relatively old stalwarts are the new disruptors – Uber, Lyft, Spotify, Airbnb, et al. Today, the Global 5000 companies are playing catch up and trying to learn and emulate the digital natives. That is a seriously big deal. Touch-enabled devices (smartphones, tablets, phablets, and laptops) along with the ubiquity of wi-fi and 3G/4G heralded a new revolution. Today, we are no longer tethered to a desk or a couch, and we are doing everything on our mobile devices – interactions, transactions, learning, sharing, and being. Most people consider their mobile phone to be more important than a car or a television. Times have changed indeed. The mobility revolution is driving significant changes across companies – irrespective of whether they engage in B2C, B2B, or B2B2C or any variations thereof. It is not just about the form factor and front-end user experience, but how those interactions and transactions are supported and how they impact the demand chain and all way to the supply chain. Mobile first, touch first is the new paradigm. In more recent times, technologies such as RPA (Robotic Process Automation), connected devices, machine learning, artificial intelligence, and related cognitive technologies are necessitating the digital transformation. AI and cognitive techniques are a driver, an enabler, and a potential competitive differentiator. Improving customer experience: Enhancing customer experience is one of the critical business outcomes from digitalization. Reducing cost structures and automating work: Given margin pressures, there is a firm reliance on automation, particularly intelligent automation, to digitize and automate tasks. 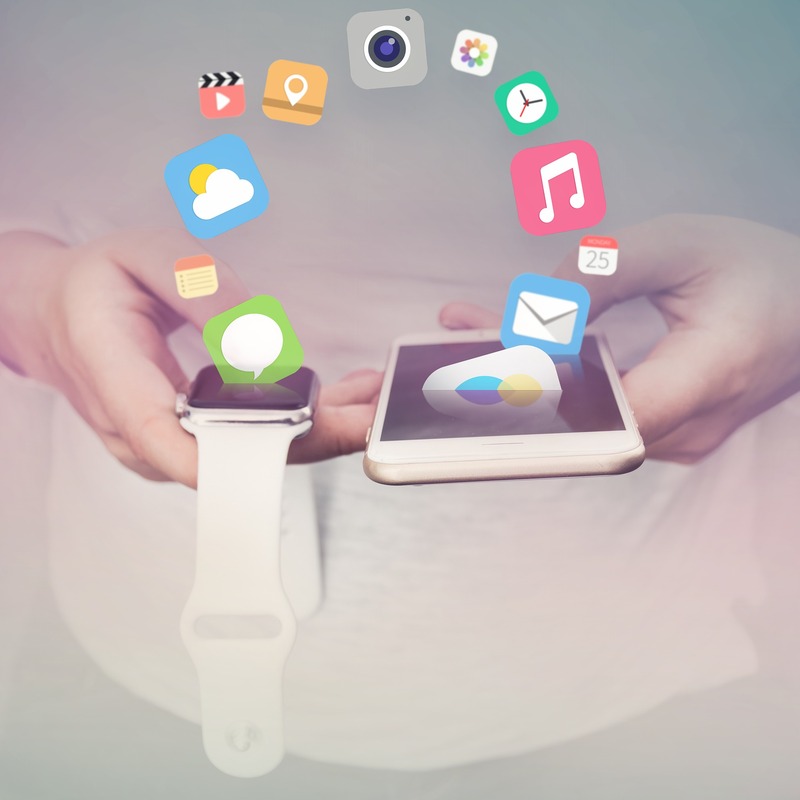 Be responsive to market changes and launch products quicker: Many of the digital natives can launch new initiatives and new products almost on a daily basis. So, in large firms where a typical product launch or even an extension takes a couple of quarters to a couple of years, it is essential to accelerate time to market. Foster data-driven decision making: In large companies, historically gutfeel and instinct were the sole drivers of decision-making. However, most companies are striving to harness and leverage data to help in real-time decision making. Managing and minimizing enterprise risk: Lowering enterprise risk and ensuring the franchise continues to thrive is another business outcome from digitalization. Cybersecurity and information security: As business shifts to an online paradigm with a variety of access channels, information and cybersecurity are paramount. New Business Models and New Revenue Opportunities: Firms are also looking at how to reinvent themselves as a part of the digital transformation efforts. Digitalization and transformation are complicated endeavors. Companies will need to either create or adopt a digital transformation framework and tailor to their unique needs. The digital transformation framework is a holistic perspective of what it takes to transform digitally and acts as a runbook for achieving the digital destiny. So, what is a digital business transformation framework? A digital business transformation framework is a conceptual depiction of critical phases and high-value activities from the vision to realization journey of digitalization. A typical digital transformation framework may include guiding principles, essential themes, sequential and iterative phases, critical activities, enablers, disablers, and desired business outcomes. Of course, not all frameworks cover the gamut, and not all companies are beginning from square one. Hence, it is up to the transformation team to define the scope and magnitude of the digital shift and encapsulate the essence of the work in an easy to digest framework. 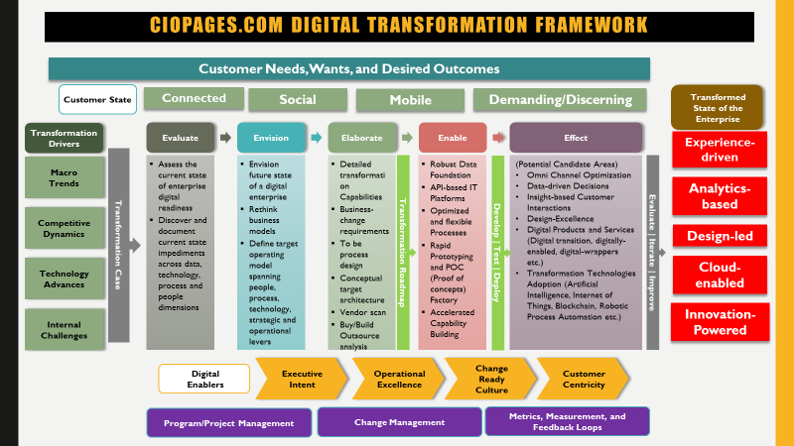 Below is a sample digital business transformation framework from CIOPages.com. Top business leaders of firms embarking on digitalization journey should ask and answer the following dozen questions to create an effective strategy and an actionable roadmap. Know who you are? Well, it is not you. You will need to know the company and its essence. What is the nature of your business, how is the competitive landscape, what are the potential avenues for disruption, which emerging players are giving a run for your money? Envision what do you want to be? Will digital commerce – whether online or mobile – an essential part of your future? How do you envisage future state customer experience? Is your executive team aligned to a common shared purpose of making digital the center of your strategy and execution? Does the leadership understand what digital means in the real sense of the term and the implications? Is digital a buzzword or considered a transformational strategy? How do you make money currently and how do you want to earn money in the future? Which business models are a part of your future? What do you intend to be the sources and composition of your revenue in the future? Does your organization structure support your future digital vision? Is digital a small group of 6-members down in the dungeon or is it the pervasive theme across the organization? Is your culture amenable to change to meet the challenges of the digital age? Beyond the digital team, it is essential for all employees to think they are a part of a digital revolution and have a role to play. Is your company primed for a change? Alternatively, will resistance doom the efforts? Do you have the people with the right competencies, skills, and commitment to succeed in the digital age? The digital business transformation demands a talented group of individuals with broad skills which are scarce. If you already don’t have such team members, are you willing to acquire such skills and engender the right kind of environment for the teams to succeed? Are your processes aligned to be optimal and capable to produce an excellent customer experience? This is not yet about design, digital technologies or any such shiny object. This is about your sales and service processes which need to support the customer experience as a part of the overall digital business transformation. If not, you will have a deeper level of effort to level the playing field so that the digital aspirations can be supported by realities on the ground. What is your channel strategy and how will it vary in the digital landscape? Existing companies have current revenue streams, distribution channels, and sales teams. Wishing them away is not going to solve the problem. What roles do these channels play in the future and if not how to transform your ecosystem including partners and external channels to simultaneously transform to support your digital business transformation endeavor. How is your product portfolio will look like to compete in the digital marketplace? Some products can be sold as e-commerce or m-commerce. Some products may be modified to meet the digital needs. Some other products may have digital wrappers. Moreover, some need to envisioned anew. So what will your portfolio look like and how will you plan on phasing out your losers in the new paradigm? Are you building the right tech stack and digital technologies? Bolting on a few additional applications and solutions is like putting lipstick on a pig. Underlying issues like data, application architecture and the proliferation of legacy applications need to be addressed and resolved for you to be successful. Are you investing adequately in the digital business strategy? Digital transformation, in the context of a large, complex and a global firm, is not going to be cheap, easy, or simple. Knowing what it takes and funding the entire journey is vital to have a chance at succeeding in digital business transformation. CB Insights has fun and a bit of pun about corporate innovation. Formulating a compelling digital strategy and then documenting is a profound activity, but need not take months to complete and 100-pages to document. Given the nature of digital, we advocate concise and coherent articulation of the digital transformation strategy using any strategy model that you may like. As an input into your digital strategy framework, a digital current state audit and a digital transformation survey will come in handy. Some enterprises are hiring reputable digital transformation consulting firms – of every stripe and skill imaginable – to help define and direct digitization programs. Digital transformation consulting is a multi-billion dollar business with no signs of slowing down. Whether you hire a digital consultant or do it yourself, digital strategy is the fountainhead decision and helps corral the execution. 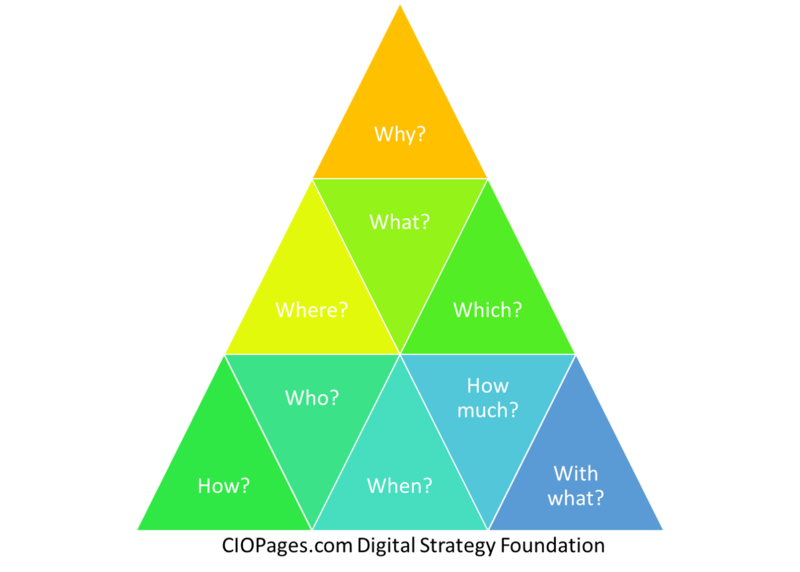 In the end, irrespective of the words you use and concepts you follow, digital business transformation strategy needs to answer the fundamental questions such as: Why, What, Where, Which, Who, When, How much, With What, etc. Why do you need a digital business transformation? Document the vision, mission, drivers, and intent. What does the digitalization entail? What are the desired outcomes – Driving new revenues? Enhancing customer experience? Lowering the cost structure? Et al. (The desired results can be more than one.) You might want to create a digital business model to explore these concepts. How will you execute the digital transformation vision? What are the strategic, operational, technological, and people levers? A digital target operating model will help. Where do you need digital reinvention? Location, business units, product areas, etc. Which business processes need restructuring? Who will be in charge of various facets of digital transformation program? While the C-Suite must be intricately involved, appointing a digital transformation manager – whether it is CDO (Chief Digital Officer) or CIO (Chief Innovation Officer) – helps shepherd the digital programs. When should what happen? The sequencing and incremental rollout of the digital business capabilities? How much will the digitalization journey cost and what are the benefits? With what tools, technologies, and platforms will you realize the digital vision? The truth is a digital strategy alone is far from sufficient. Executing the digital vision into an actionable reality is fraught with risk, cost, hard work, and complexity. However, the rewards of success in a digital transformation can be the difference between surviving or thriving. People throw around the term “Digital Capabilities” all the time, using it to mean a slew of different things – abilities, capabilities, competencies, processes, and systems. Of course, as long as the other person or team understands what you are saying, that may be ok. However, digital capabilities have a distinct and different meaning under business architecture nomenclature. What is a digital business capability? A digital business capability is what a business does and can do in the digital or physical realm using underlying value streams and processes, and realized by systems/applications. So, a digital business capability is an elemental entity or a Lego block in the digital universe. A company may need a set of such digital capabilities to accomplish its digital objectives and reach its manifest digital destiny. For example, when an executive says “Let’s improve Customer Experience” it is a goal or a desired outcome. Then a business leader says, “Achieve highest customer experience scores by seamless post-market service delivery,” they are articulating a strategy. “We will need a customer-centric culture,” it indeed refers to culture, change management, training, and development. “Prospecting Management” “Product Research” “Onboarding” “Order Management” “Order Fulfillment” “Account Management” are some of the digital capabilities which may be an integral part of improving customer experience. “Portals” “Mobile Access” “Security and Authentication” “Product Search” maybe some of the underlying technologies to power the capabilities. So, what it means is a company needs a comprehensive digital business capabilities model which encompasses a detailed drill down of digital capabilities into a granular and elemental level. The digital capabilities must be mutually exclusive and collectively exhaustive. Detailed decomposition of digital capabilities to level 3 or 4 will help companies figure out the execution details. 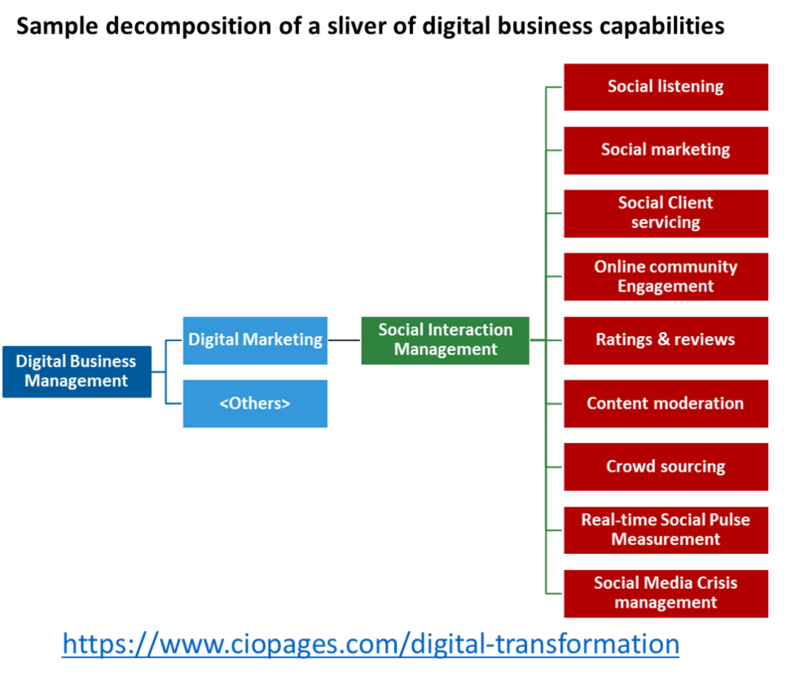 The image below captures how just saying a word – “Digital marketing” or “Social Media” is not sufficient, and for a capability to be IT-enabled, it requires a more in-depth level decomposition. You can jumpstart your digital transformation journey by purchasing a CIOPages.com Digital business capabilities model which will feature a detailed list of digital capabilities. A digital transformation roadmap is a compass for how to realize the digital transformation vision through a series of projects, phases, milestones, and releases. The digital transformation roadmap is a critical deliverable, and it should be more granular than a strategy document and a bit more abstract than a detailed project plan. The digital transformation roadmap work is more brass stacks and happens after a digital vision, operating model, and strategy are already clearly articulated. The roadmap is how the concept gets turned into a reality. The following are nine critical steps to building a digital roadmap. Build a backlog aligned to capabilities. What this means is whatever needs – the voice of the customer, capability gaps, future vision – are defined, they will need to be anchored at a capability level. Mapping capability needs to systems/services (Micro or SOA) is a critical success factor and is a part of the solution design/definition work. This will allow for building services at the right level of granularity or finding the application with the right fit. Interdependency analysis highlights not only interdependencies but also the critical path items, the overlaps, redundancies and allows for streamlining the capability evolution. The digital roadmap typically comprises of broad themes which are in turn are a set of features, functions, and clusters of capabilities with phases, and milestones along the capability-enablement lifecycle. The digital implementation roadmap is typically very detailed for one quarter and a bit higher level for the following three quarters, and then more at a feature/function level for the subsequent 12 months. 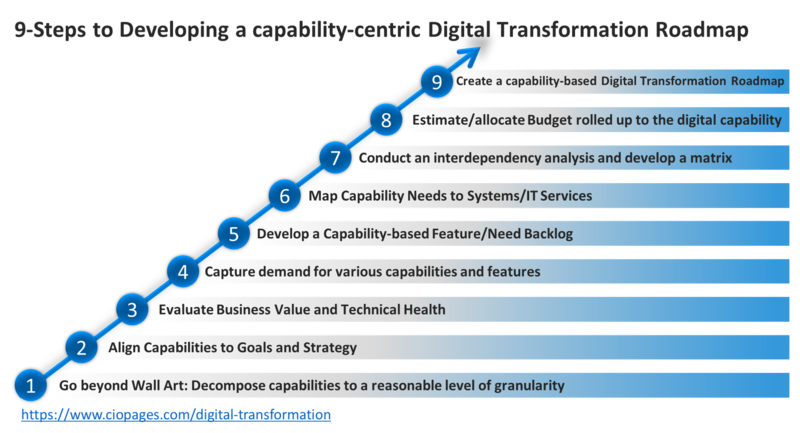 The following is a sample view of a digital transformation roadmap for a single digital capability. Large companies are using digitalization as an opportunity to fix many of the functional areas and move them into the digital age. Marketing Transformation: Since the advent of social media and the digital wave, progress in marketing technologies has been phenomenal. Scott Brinker’s marketing technology landscape map is an eye-opener. Given the growth in online marketing, many large enterprises are embarking on marketing transformation. CRM Transformation: Sales force automation and customer relationship management may have been where the enterprise SAAS digital revolution may have commenced, thanks to companies like SalesForce.com. Today, most companies have already completed or in the throes of a CRM Transformation. Accounting and Finance Transformation: The role of finance has changed tremendously in recent years. Today, finance has become a strategic function and a business enabler. A digital transformation of finance function is at the core of many companies digital endeavors. HR Transformation: In the digital age, people and data are probably the most critical assets of any company. Hence Human Resources Transformation is on top of mind of companies who want to make the employee experience as exceptional as customer experience. Business Intelligence and Data Analytics Transformation: Big data and analytics have helped companies transform regarding data-driven decision making, customer analytics, people analytics, operational analysis, and risk management. Data Analytics and Business Intelligence transformation help add strategic value across many functional areas and positions the companies for the data-driven digital age. Supply Chain Transformation: While many focus on the demand chain, particularly e-commerce and customer experience, the supply chain is an area where digital technologies and digital concepts have revolutionized how companies source, collaborate and innovate with their suppliers and partners. Companies are re-imagining their supply chains with next-generation digitally powered Supply chain transformation. 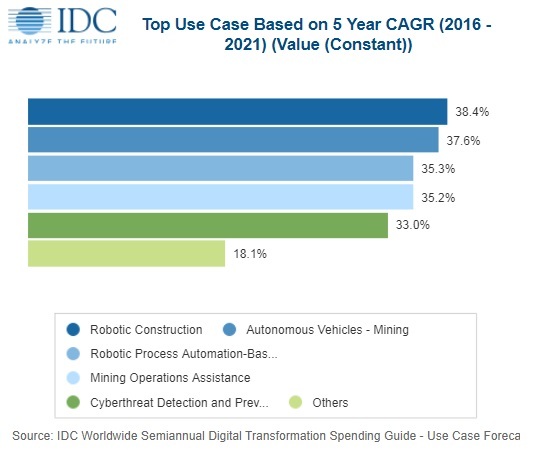 According to IDC digital transformation spend will exceed $1.1 trillion in 2018. Digitization and Intelligent Automation: For example, if a bank needs to enter financial statement information manually for underwriting purposes, using machine learning or RPA (Robotic process automation) to capture and extract the attributes and fill in an automated manner is an excellent way of bringing efficiency and effectiveness. Streamlining the “Experience”: Many process transformation efforts in the digital age are aimed at simplifying and optimizing the Omnichannel experience of a customer. A new way of doing old things: For example, Uber did not create an app to call a local yellow cab. Instead, if upended transportation with a ride hail app that leveraged the latest technologies – mobility, beacons and location services, and the emerging free agent economy. Hence, when your enterprise is thinking about process restructuring or re-engineering as a part of digitalization, rethink the value and if possible recreate the flow. It is not about an incremental efficiency or elimination of a single step. If something could be done way differently or not done at all, it changes the paradigm. “Thinking digital” “Doing Digital” and “Being Digital” are various stages of the digital mindset and culture. For large legacy enterprises digital is something that they need to acquire and is not as natural for the digital natives. Digital natives do not need to remind themselves of “Touch-first and Click Next.” It is in their DNA. 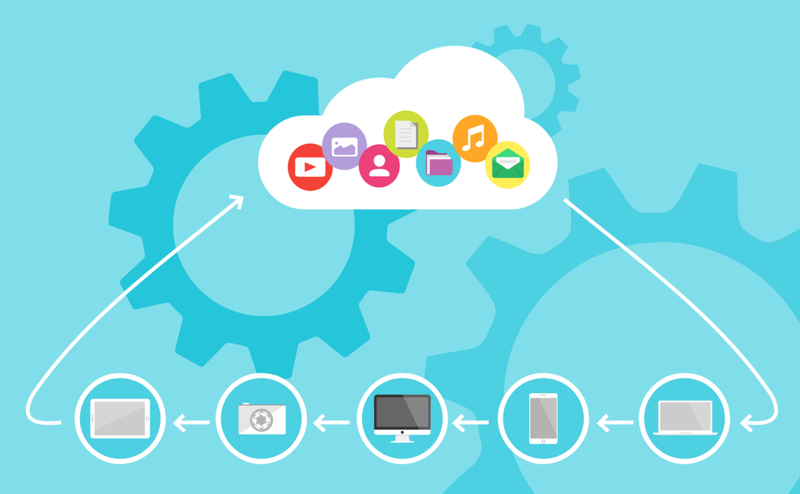 Digital natives aren’t thinking “Why Cloud?” and associated justifications. It is just the way it is. So, how do traditional enterprises bridge this digital cultural divide and reach a state where digital is not an act put on for the show but is an integral part of how the firm operates? Digital culture doesn’t just happen by an executive mandate. It has to start from the top and permeate down the ranks. The leadership team must embrace the concepts of digital and live them. Nominating an innovation team or a digital team is not a solution. If a firm needs to be digital, it cannot have a siloed group doing digital. The answer is not large consulting engagements either. While consultants have a role and place, the best way for companies to become digital is doing it themselves. Embrace design and experience as an integral part of building capabilities. Adopt outside in thinking with the customer as the central focus. Use techniques like design thinking to help develop those ideas that will help the firm leapfrog from the status quo. Acquiring startups for talent will help engender that digital culture and provide a short-term boost to doing and being digital. The magnitude and impact of change management during a digital transformation cannot be overstated. Since digitalization is more of a business transformation, cultural transformation, and people transformation – more than just a technology transformation – change management occupies a pivotal position in making the digital transformation something that the employees embrace and for the rewards of transformation bear fruit. The change management in the digital age is indeed different and different. Companies need a cohesive change management framework and a change orchestration plan. 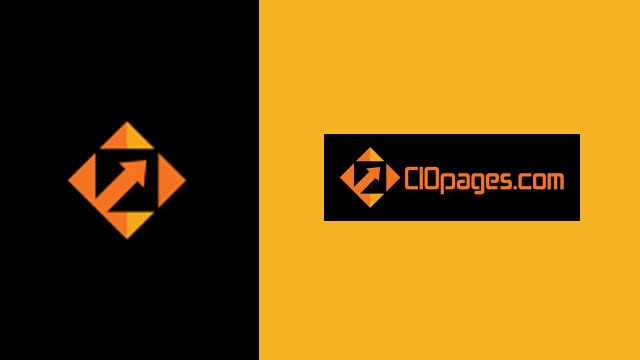 CIOPages.com offers a comprehensive Change Management Guide, tools and templates to driven digital transformation change management. Do not underestimate the gravity of digital change management. Better customer experience: As one of the core focus areas of digital transformation, the outcome is often a customer experience lightyears beyond what was present. Of course, the degree to how much improvement is possible depends on the state of the enterprise and the way the capability came together. Reduced cost of operations: Considering the margin pressures and lack of pricing power, lowering the cost of services and decreasing the friction is the machine is a positive contributor. Better compliance: When done right, digitalization helps in making risk and compliance management as an integral part of operations, not a superimposed structure. Effective Risk Management: Managing enterprise risk at various levels and controlling the vectors is often the goals and the outcomes of a well-implemented digitalization program. More profound Customer Insights: Customer analytics are another facet of the digital transformation that yields tremendous rewards. Whether it is customer segmentation for right customers, customer analytics for churn prediction, or calculating the propensity to buy, there are many ways customer analytics have changed the customer acquisition, conversion, retention, and wallet expansion game. Data-driven Decision Making: Dashboards, the real-time pulse of the company, predictive analytics have contributed to better strategy formulation and optimal decision making. The data-driven decision making is yet another landmark benefit of a digital enterprise. Elimination of reduction of Silos: Traditionally, large companies were a collection of fiefdoms. No longer. Today, thanks to digital transformation a new company-wide process orchestration and capability development are a reality. New Business Models, New Products, and Better Opportunities: From monetizing data to reaching across the global frontiers, from mass customization of products to achieving pinpoint personalization, digital makes a whole slew of things possible and feasible. Employee empowerment: A digital culture with a customer-centric and employee-centric focus and ethos helps employees feel empowered and go beyond the traditionally defined boundaries of role. Virtualization allows for anywhere work access. BYOD (Bring your own devices) make it easy to get work done without too many tools. New generation teamwork applications boost morale and productivity. Collaboration: Digital technologies and digital thinking foster cooperation internally, and collaboration externally with the ecosystem partners. According to research firm IDC, companies expect to spend upwards of $1.1 trillion on digital transformation initiatives. Despite these eye-popping investment numbers, many digital projects fail or underperform. The failure of digital projects is emblematic of the broader syndrome affecting all projects – the larger the projects and more ambitious the reach and scope, the more likely they will fail or underperform. Digital transformation is not complete without several enabling technologies rising to the forefront. Digital transformation technologies are evolving fast bringing in their wake new possibilities. The following are some of the digital transformation tools and technologies that are driving digitalization efforts. Which of them are fads or long-term solutions remains to be seen? So, before investing millions of dollars, enterprises should conduct a proof of concept and ensure they are using the right technologies for the proper use cases. Also, remember! IT digital transformation is an enabler and a means to an end, not the end. CIOPages.com offers a lot of Transformation Toolkits, Templates, and Guides for digital transformation. Many of these are in a variety of formats: PDF, PowerPoint, Word, Excel templates or documents. Please contact us for digital transformation deliverables or digital transformation consulting.